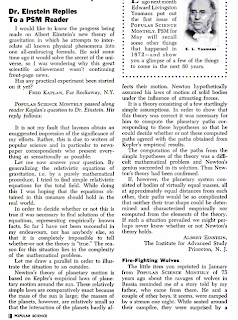 Popular Science (Monthly) magazine has put its old issues online. Popular Science (Monthly) magazine has put its old issues online. 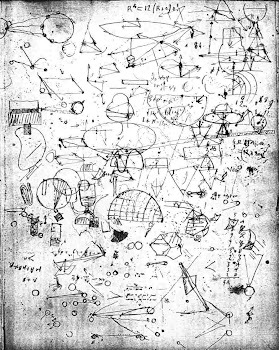 A 1952 letter confronts Einstein with his bogus claims about creating a unified field theory. Einstein. Einstein denies any responsibility for his publicity-seeking behavior, and then gives some doubletalk excuses. His theories were garbage. 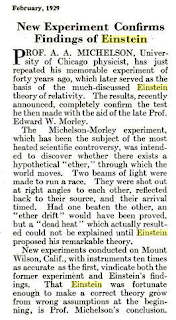 A 1929 story updates an experiment that led to relativity theory. The trouble with this is that Einstein denied that the experiment had anything to do with his work on relativity. It was only used by those who actually invented relativity. The magazines are complete with the original ads, which are unlike any ads today.